Hi everyone! Flash2351 here with my first article for RNGEternal. Whenever I’m not busy punting invitationals and missing lethal, I really enjoy drafting. In fact, I would say draft is my favorite game mode in Eternal. For those of you that care about credentials, I have made top 30 in draft consistently since my second month in Eternal except for season 8 (because I was so frustrated with set 2 draft initially that I kept bashing my head against the proverbial brick wall). To start off my draft series, I thought I would give a 3-part primer on drafting. While this is targeted towards new players dipping their toes in the drafting pool, hopefully veterans can pick up a few nuggets here and there as well. 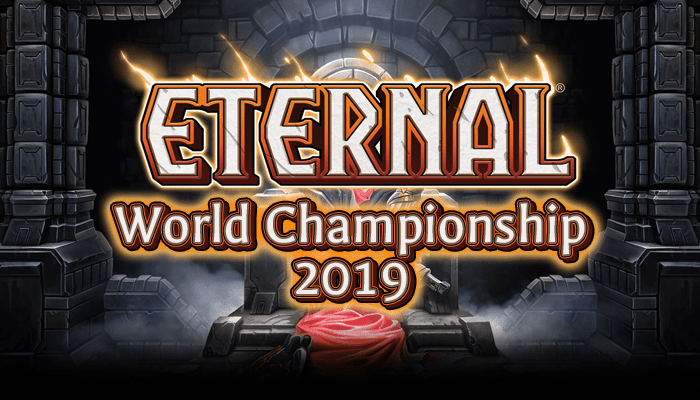 Also, I strongly recommend that you check out this article by JankJunction which provides a great breakdown of the terminology commonly used in Eternal drafting, and my tier list if you are struggling with determining the power levels of individual cards. Drafting can be broken down into 3 distinct phases: Drafting the Cards, Building the Deck, and Playing the Deck. For the first article, I’m going to focus on the Drafting Phase. I believe that drafting the right cards is the most important factor in deciding how good a draft run you get. If I were to estimate the relative importance of skill at each component for doing well in draft, I would say drafting contributes 45%, building the deck constitutes 20% and the remaining 35% is dependent on your plays. That is also why players tend to look at decks and state things like, “this is easily a 7-win deck, that deck looks like a 4~5 win deck”. How are the packs passed? The first step to understanding drafting is to understand how the packs are passed. The most important thing to remember about pack passing is that the same person is always picking before you for packs 1 and 3 and the same person is always picking before you for packs 2 and 4. Also, if you are used to table drafts, remember that the packs you passed here will never come back to you. You receive packs 1 and 3 from 1 row of players and packs 2 and 4 from another row. The arrows indicate the direction that the packs get passed. An easy, but slightly inaccurate, way to think about this is imagine you are sitting at the end of 2 perpendicular rows of 12 players. For the first pick of the first pack, everyone along the first row, including you, simultaneously opens a new pack and picks a card from it. Everyone then passes the remaining 11 cards down the row. From the new set of 11 cards, everyone picks a second card and passes the remainder down the row. This process repeats until you’ve gotten a card from each of the 12 packs. For the second pack, everyone along the second row, including you, do the exact same thing as the first pack. Pack 3 uses the same row as Pack 1 and Pack 4 uses the same row as Pack 2. Cards that you pass from each pack will be stored and used for future players. While this is not 100% accurate (the picking is actually asynchronous), the order of players picking before you is accurate and this serves as an easy way to think about signaling later on. If you are interested in how the asynchronous draft is implemented in Eternal, I strongly recommend reading this Reddit post by BadGuyTy. One of the most important skills for drafting is the ability to read signals. Since the same few players are always drafting before you in pack 1/3 and pack 2/4, you can look at what cards they have passed to determine what factions they are picking (i.e. cut) and what factions they are passing (i.e. open). By positioning yourself in open factions, you are maximizing your chances of ending up with the best cards because no one else is picking them before you. So how do you read signals? The first thing to know is that each pack has at least 1 mono-faction card of each faction. Thus, if you see continuous picks with no Shadow cards for you can guess that Shadow is likely cut. In contrast, if you see continuous picks with good Fire cards (Torch, Oni Ronin, Rebel Sharpshooter), you know that Fire is likely open. It is also important to remember that a single pick does not necessarily reflect the state of the drafters picking before you. A faction being cut in one pick could just be due to a drafter before you who picked the single mono-faction rare for shiftstones (i.e. rare-drafting) even though it is off-faction for them. Similarly, getting passed a Rebel Illuminator for a single pick could be due to the pack containing both Torch and Rebel Illuminator, rather than Fire being open. Thus, in order to read signals accurately, it is extremely important to remember how your previous picks looked. A good habit to adopt if you are just starting to draft is to take screenshots of every pick so that you can review what colors are open subsequently by looking at what colors were present in each pack. The whole process of signal reading is difficult and tricky, so why bother? As most players are drafting to win, they are highly likely to pick an average card in their faction pairing over a more powerful card that they are unable to play. Thus, if you are able to accurately guess the faction pairings of the players passing to you, you can choose your factions so as to pick up the powerful cards that they pass. From personal experience, I have ended up with p4p9 Awakened Student and p3p12 Valkyrie Denouncer before and those decks tend to end up going 6 or 7 wins because of the sheer number of bombs and quality cards present. There are some players that advocate forcing a faction pairing because they believe it to be strongest, but I think that it is a bad idea. I’m intending to write an article on this in future, but the short summary is that forcing a faction pairing only works if it was already open (~10% of the time). For the other 90%, you tend to end up with barely enough playable cards for your deck. It’s often easy to decide what the best card in the pack is, but deciding what’s the best pick is entirely different. Not only should you think about which is the best card in the pack, you should think about staying open versus committing to a color, picking powerful cards to splash versus average cards in your colors, picking more late-game bombs versus picking cards to fill the holes in your curve. There is no simple answer to this question, but hopefully the following guidelines would help. For the first 4-5 picks, just go for the best card in the pack. You shouldn’t care about their factions at all and just pick whichever card has the highest power level. Only in cases when two cards are almost identical in power level (e.g. Purify vs Mortar), then you should pick the card that is more aligned in factions with your previous picks. Remember, it is extremely important that you don’t get married to your p1p1. For the rest of pack 1, look at your first picks and identify what is likely to be open/cut. At this point, you should start thinking about excluding factions that you have no good cards in and/or are cut, and try to identify what is likely to be your main factions. You should start narrowing your picks to stay on faction and mostly ignore the other factions. However, remember that you are not bound to your factions yet, so if good cards in other factions keeps flowing, pivoting is always an option. By the middle of pack 2, you should have decided on your 2 main factions and should be snatching up all the goodies in those two colors. Only stop to grab very powerful bombs and efficient removal if you are able to splash them with good fixing. At the start of pack 3, it’s time to do a unit count and check out your curve. You would ideally want to see at least 9 units and 3 or more 2-drops with a few big bombs (depending on how aggressive or control orientated your deck is). At this point, you should start paying attention to your curve but still pick the strongest card in your colors. When two cards are similar in power level, you should look at which card fits your curve better. As an aside, it’s important to remember that there are some units that effectively act as spells or card draw rather than actual bodies (e.g. Blind storyteller, Stormcaller) and thus, should not being included in your unit count. The opposite is also true, so cards like Cobalt Monument, Humbug Swarm, The Great Parliament, should be included in your unit count. Nearing the end of pack 3 (~p8), you should start picking cards ensuring that your curve is nice and smooth and that you don’t end up too light on units. From this pick on and for pack 4, the focus is shifted more towards filling holes in your deck. At the same time, this doesn’t mean that you should completely ignore bombs. For example, if I get offered a p4p1 Xenan Obelisk and it’s in my factions, I might still pick it over a Stranger if I had 3 2-drops. With 0 or 1 2-drops, I would have to grit my teeth and pick the Stranger instead. This is a fine line to tread and it is not uncommon to be torn between 2 or more choices. If you are happy with your curve in general as you move through pack 4, you can start picking cards to replace the weaker ones in your deck. For example, you could pick an on faction stranger to replace another off faction stranger. Note that the above advice is written with drafting straight 2F or 2F+splash decks in mind. While 3F+ Greed exists, it feels more inconsistent and is much harder to draft. Thus, I would strongly suggest for new drafters to stick with the 2F and 2F+splash decks initially. If there is sufficient demand for a guide on 3F+ greed piles, I will happily put out an article on it. Let me know in the comments! Don’t get married to your first pick. A common pitfall for drafters is that after picking up a bomb p1p1, they start to force the faction pairing of that card. This is a bad idea because you could easily end up being in the same faction pairing as the player passing to you. If that happens, you will likely end up short on playable cards despite having a great p1p1. Remember to try and stay open for your first few picks and only start narrowing down your factions after getting a good read on the factions of the player passing to you. Draft your deck with a coherent strategy in mind. By the middle of pack 2 or latest, start of pack 3, you should always ask yourself the question: How does this deck win? Am I winning by attacking with my entire board every turn and killing my opponent before they have a chance to play their bombs? Am I hoping to stall out the board and overwhelm my opponent with my bombs? Am I trying to hold my opponent’s ground units back while killing him with my flying units? Deciding on a coherent strategy allows you to make better informed picks. For example, if I am on the fliers’ plan, I would likely pick a Scaly Gruan over a 2/2 off faction Stranger. In contrast, if I’m on the all-out aggression plan, any 2/2 Stranger is much more valuable than a Scaly Gruan. District Infantry is probably one of the most important pieces for any aggressive decks but a control deck would most likely cut District Infantry. While the two examples I listed are relatively straight-forward, there are many more cases where the decision is much harder. I’ve lost count of the number of times that I’ve been bailed out by this guy and his fellow strangers. I cannot emphasize this point enough. Fixing is always going to be good, even in 2F decks. Remember, no matter how good your deck is, it won’t matter if you can’t play it. Fixing heavily reduces the number of non-games that you run into. Any other stranger that gives you Time/Justice influence. The rationale behind this ranking is simple. Firstly, you should always prioritize dual on-faction Strangers in either your main and/or splash factions. This is because such Strangers provide 2 additional sources of influence on top of your basic sigils. In contrast, Banners only provide 1 additional source of influence because it is replacing a basic sigil in your deck. Secondly, you should prioritize fixing for your splash because that would minimize the number of basic sigils in your splashed faction that you should play. This helps reduce cases when you mull into a 2-power hand where both powers are your splashed faction. Don’t pick too many late game bombs. It’s always tempting when you see so many good units with large stat values that you want to instantly snap them up. This is also one of the biggest mistakes that I made when I start out. Bombs are bombs only if you live long enough to play them. Even in a control oriented deck, I would be hesitant to run more than 4 6+ drops and have never run a deck with more than 6 6+ drops. Don’t forget about your 2 drops. Picking up Strangers, even if they are completely off faction, is fine if it helps smooth out your curve. You generally want at least 6 2-drops if you are an aggressive deck and a minimum of 5 2-drops if you are midrange or control. Don’t draft bad cards that can be good over cards that can be consistently above average. Many players believe lifeforce is a trap, but I disagree. I think lifeforce is fine, but the trap is that lifeforce entices you to draft bad cards that can potentially be awesome (e.g. Water of Life, Bloodcall Invocation). In a similar vein, some players like to play Ruin and Decay in their decks. The problem with such cards is that they are extremely narrow in the situations that they are good. If you draw both Water of Life and Bloodcall Invocation by turn 3, you can get a 6/6 out instantly. However, that’s a huge IF. More often than not, you end up with Bloodcall Invocation in your hand and no way to gain life, or with Water of Life in hand and no lifeforce cards. In most cases, I would much rather have consistently average cards (e.g. 2/2 stranger) instead of these highly volatile cards. Of course, this isn’t a hard fact and given enough payoff, sometimes it’s worth it to run potentially dead cards such as Water of Life. This boils down to a central theme of drafting, ‘Risk versus Reward’, and is something that I will be covering in a future article. Don’t pick a card in your splash faction over a decent card in your main factions. One common mistake newer players tend to make is that once they decided to splash a faction, they value picks of that faction as much as picks of their main faction. I think that this is wrong because 1) you aren’t always going to splash if you have enough playable cards in your main factions and 2) even if you splash, you want to keep that to a minimum so that you can have a more streamlined powerbase and reduce your chances of screw. Drafting and signaling adds a whole new dimension to the gameplay of Eternal and can be a rough beast to tame. Don’t get discouraged if you end up in the wrong factions and scraping the bottom of the barrel for playable cards. The #draft channel on the Eternal Discord is also a great place to get advice on your picks whether you are just starting out or are already a veteran drafter. Feel free to hit me up in the comments section or on the Eternal Discord if you have any questions or comments. I’m also open to suggestions for different aspects of draft that you would like me to write on so feel free to let me know! Remember to check in next week for the next article in this series: Building a Deck! Hi, interesting article. I consider myself a decent limited format player (Infinite HS arena and made diamond one season in Eternal). I would find it helpful for you to go into more detail about “fixing”. I can understand the concept broadly, but is different from me understanding exactly what you consider it means and what considerations go into deciding how much mana in the splash group etc etc. Maybe you’ll be going into that in more detail in another post, in which case a short definition here of fixing would be useful. Thanks!